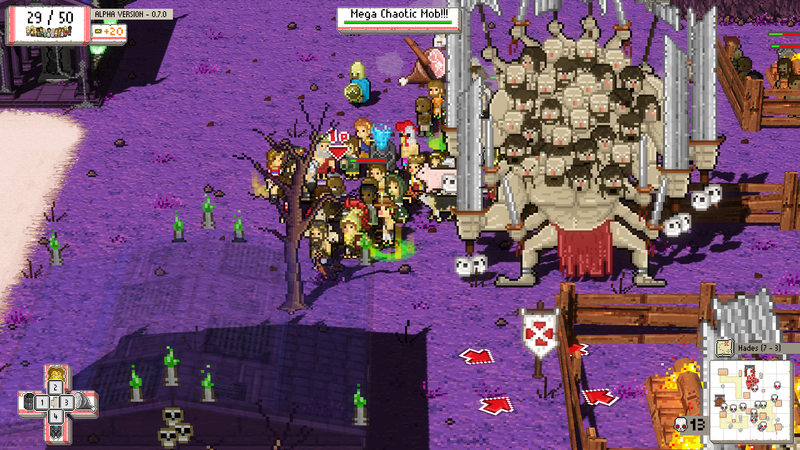 Okhlos blends multiple genres together to craft a quirky, fun strategy game about destroying Olympus. The Gods of Olympus must be stopped. For too long, they’ve treated the citizens of Ancient Greece as playthings, disposable little items created expressly for carrying out their will. But no longer. These citizens are mad as hell, and they’re starting to show it. 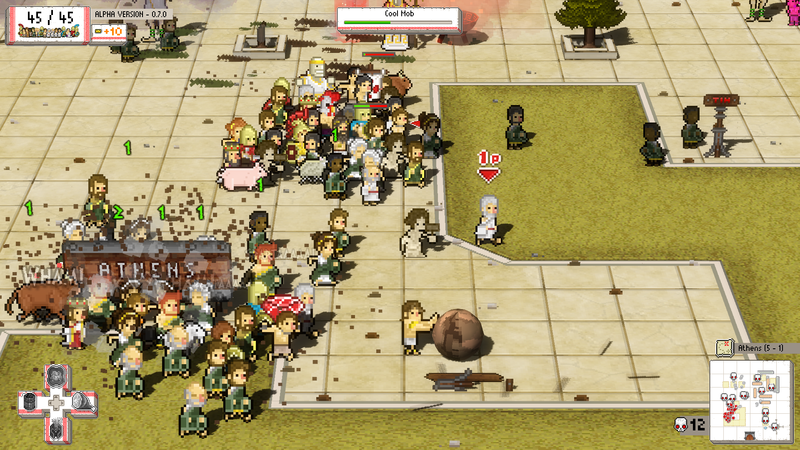 This is the narrative base of Okhlos, a game about inciting riots and using the crowd to destroy the Gods. Okhlos is a tad difficult to explain. It handles like a twin-stick shooter, but it’s not. It requires strategy, item, and unit management, but it’s not a strategy game. There are aspects of combat-heavy games within, but it’s not an action brawler. Instead, it’s a genre smoothie, a well-integrated blend of styles and ideas that formulate a very unique, quirky little experience with lots of replayability. In Okhlos, the player’s main character (and most precious commodity) comes in the form of Philosophers. There are many within the game, each of which has their own stat boosts and advantages and have been pulled straight from history. Pythagoras, Plato, Oedipus, and even Einstein showed up during my time with Okhlos, each with their own stories and quirks. Using a philosopher of choice, the player walks around cities, “collecting” citizens and slowly building up an angry mob hellbent on destroying anyone and anything that stands in their way. The more they destroy, the more outraged they become, culminating in one final form that allows its members to destroy entire buildings as they run through the different stages on the way to demolish one of the many Gods. Combat is initiated by holding down the right trigger, blocking on the left, and items--including health and massive damage dealers--are equipped using the face buttons on a controller. Other orders, including scatter and converge on one point, also prove useful to avoid any large amounts of damage one might inflict upon the angry mob, be it illness or enemies who are very much enthused with stomping on people smaller than them. Okhlos’ crowds are made up of several different units ranging from illustrious heroes to slaves, the most basic unit that serves useful as they carry items and can be pawned off as currency for other philosophers. The more slaves one has, the more items they can carry around. Which is especially useful in a bind, when you might need healing or weaponized ghost rioters to aid in battle. Every Greek God has a distinct attack pattern that increases in intensity and can leave a satisfying and valid challenge for the player. Hera can transform my team into a group of damage-less chickens and cause new enemies to spawn around her. In these situations, there’s a fair wind up time one has to be mindful of in order to successfully avoid being on the unlucky end of these attacks, and that, coupled with the tireless spawn of minions makes boss fights feel like a harrowing close call. It’s not all darkness, though. Everything about Okhlos is endearing, from the silly individual character bios (Oedipus’ family gatherings are awkward, says his card) to the stark contrast of smooth jazz playing while inside the store menu attempting to figure out which philosopher is worth a handful of slaves in a trade. A mix of Greek expletives and Tumblr-friendly words emerge from the crowd as they destroy everything in their path into a 3D, stylish collection of rubble. And when a God goes down, it feels like a special team effort went into making the citizens of Greece ever so slightly more free. 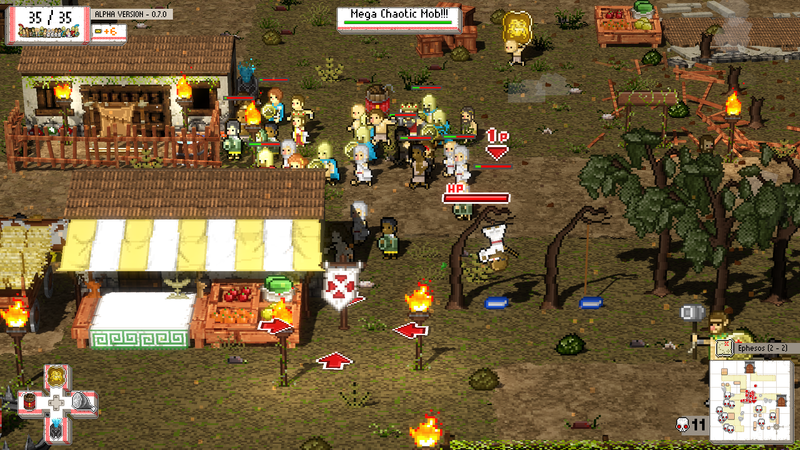 Expect to learn more when Okhlos releases on PC August 18. The Aardvark bit I mean. It's the default item in the author dropdown for the Shack CMS. Hm I thought I already saw this story posted earlier. That is pretty good though. Lamo. I love this Aardvark the forgetful editor default name thing.